General Motors has filed an application to register Envoy as a trademark with the United States Patent and Trademark Office, potentially signaling the arrival of a future GMC product. 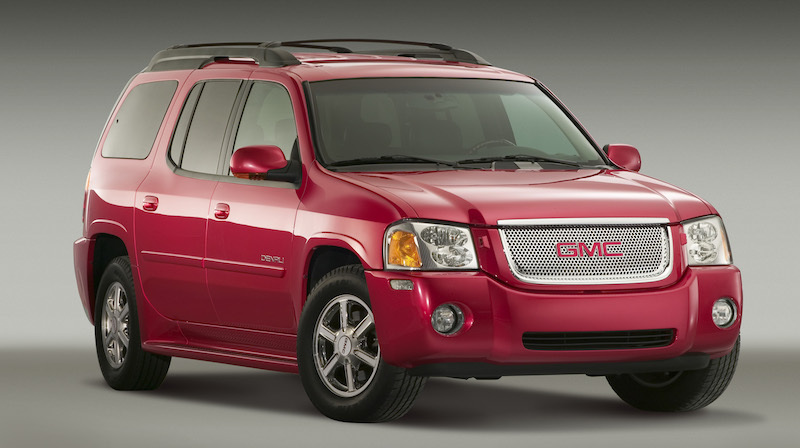 You probably don’t need us to remind you about the GMC Envoy – a mid-size and full-size (in XL guise) SUV produced from 1998 through 2009. Now, this trademark filing isn’t proof that GMC is bringing back the Envoy, but it is as good an indication as we’ll get for the time being. Question is, what would a new GMC Envoy be? 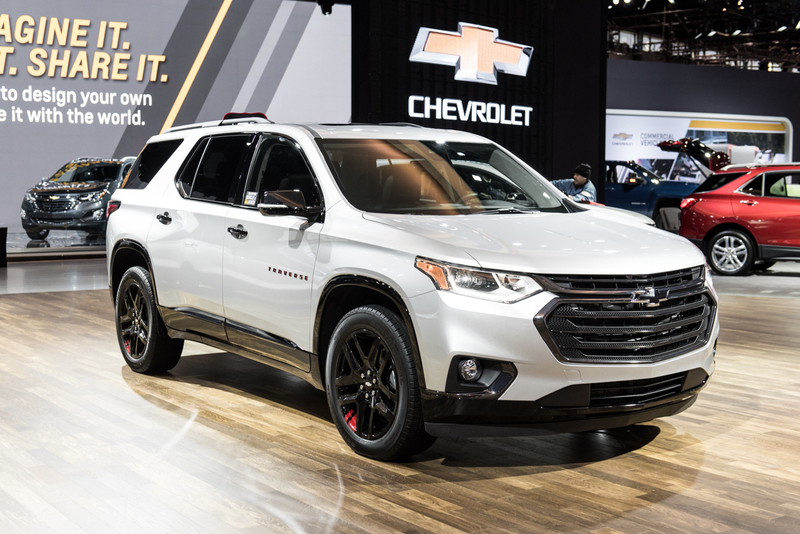 Forced to venture a guess, we posit that the Envoy name would be used on the third option – a new GMC crossover similar in size to the Chevrolet Traverse. Both the Traverse and Acadia ride on the GM C1 platform, but the eight-passenger Traverse uses a longer version of the architecture and is roughly 10 inches longer than the Acadia. The Acadia is also available in two-row, five-passenger or a three-row, seven-passenger configurations. Though the trademark filing doesn’t confirm anything just yet, it does seem likely that a future GMC crossover is on the horizon. After all, GM just pulled the plug on a whole bunch of products to make way for more crossovers and SUVs, which becoming increasingly popular with consumers, and carry larger profit margins. GMC is well-poised to capitalize on this trend as well, thanks to its focus on trucks, SUVs and crossovers and its premium image. 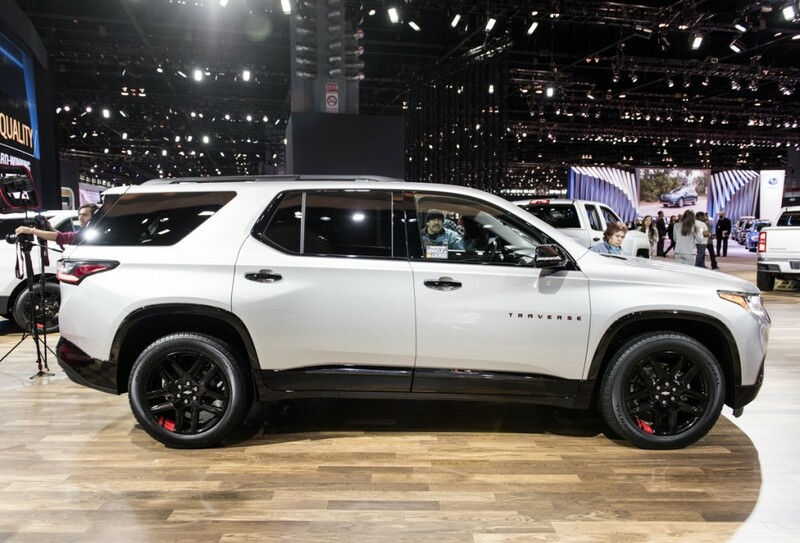 Stay tuned to GM Authority for more GMC news and GMC Envoy news. THERE IS NO NEED FOR GMC TO HAVE ANYTHING SMALLER THAN THE CURRENT TERRAIN!!! GMC was always supposed to be a Truck/SUV brand. 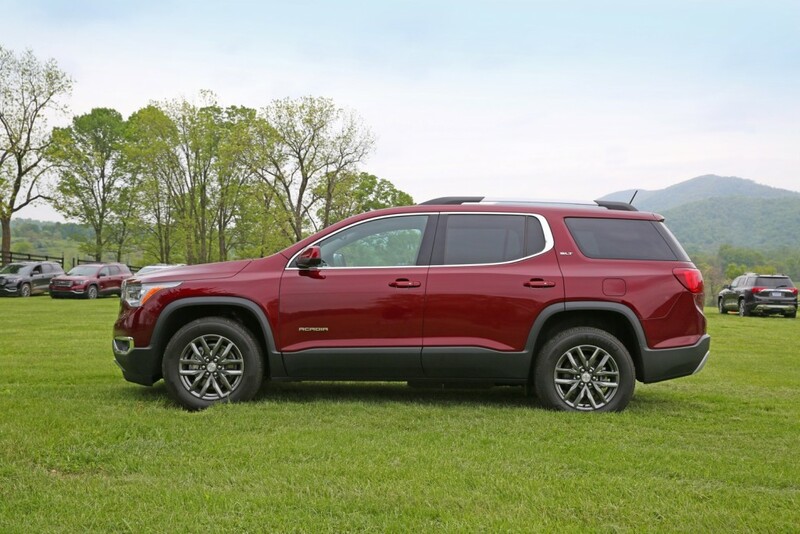 the terrain is fine, but GM does not need another rebadged Trax/Encore….Especially with the GMC nameplate. 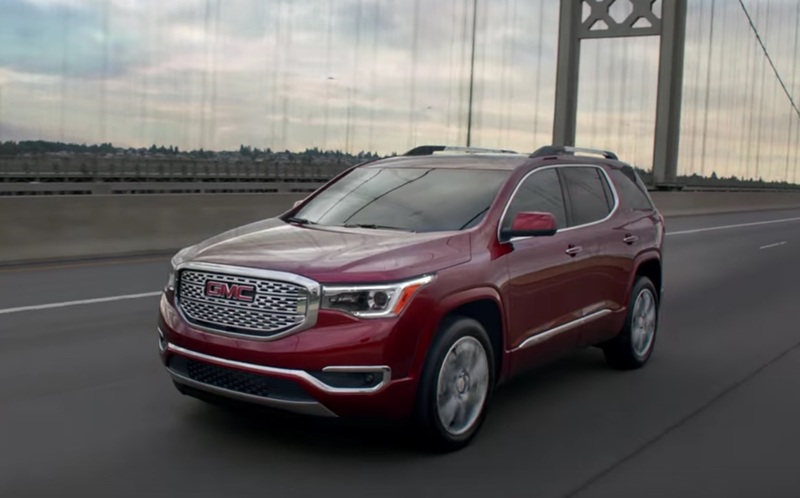 I very much welcome the idea of a Envoy/ Envoy XL; but nothing smaller than the Terrain should wear the GMC name. Leave that to Buick. This is the equivalent of Pontiac getting a minivan. It never came close to fitting the brand and eventually led to its downfall. Blazer becomes an Envoy, Acadia goes back to the stretched chassis of Traverse/Enclave. LOL. Watch that be what happens. Last gen envoy was the GMC blazer, so that is the most likely. PRETTY PLEASE let it be a traverse body with the 5.3! I know it would be a shame to have a transverse engine awd architecture to such a vehicle, but my parents traverse does wonderfuly, and a awd architecture is cheaper to build. Just offer a 1-2inch lift. I doubt a body on frame in this size class. That’s pretty much a Yukon. Maybe we’ll get lucky and it could be a proper truck-based SUV like the global Trailblazer based on the Colorado pickup truck architecture? That’s how Envoy would be in my ideal lineup. Any crossover would be a Buick or Chevy (and Cadillac), GMC should go back to trucks and nothing else. Is that going to be made in Mexico too ..
must be the reason for the new paint shop going in at Ramos. MARY,, GM does not need more models . what it does need is not under powered engines , excessive plastic trim , better safety standard items , charges for different color paint ??? really . MARY you’re not in the same ballpark you’re allowing everyone else to gain runs ,GM is loosing its fame and you’re causing it . GMC is a truck division leave it that way ,in fact it is duplication of Chevy trucks so WHY is there a GMC line ,give all the fame to Chevy . Buick was the WRONG division to keep ,it is stepping on Cadillac–in downsizing the lineup should have been Chevrolet — Pontiac or Oldsmobile ( better attraction too younger buyers than Buick) , Cadillac . Must ALL BE ASSEMBLED AMERICA. This ship is unfortunately taking on water and you and your cronies are allowing it . Someone in the penthouse offices has to read these comments cause it seems not to many agree with your decisions . It’s time for a different batter , catcher and pitcher. I think GMC needs to continue to stay on a path that will begin to further distance itself from almost everything Chevy is already doing, just like there is nothing on the horizon for a Class 6 or Class 7 GMC Medium Duty Truck to hit the market anytime soon, which is a good thing because too much damn cloning can become a “Major Snooze”, it would be nice to see the focus get shifted towards a New Savanna Full-Sized Van to go head to head with the Nissan NV-Series and the Ford Transit Series, they appear to still be doing well in the market with the current model, but a major update would be an exciting addition to add to GMC’s Portfolio and may add more boost to the relatively healthy Fleet Sales. I’d like to see something based on the Canyon chassis. Something more off road focused but not over the top like a Hummer H2 or FJ. More like a 4Runner or Grand Cherokee. Bring back the envoy XUV I love my 2005 and has 108000 miles. Will keep it until a replacement is made. the size of the other SUV are too small and Yukon is too big for the older generation. The Envoy was the perfect size.